In honor of the Linotype Machine, commercial print and a job well done, enjoy a taste of “Lino-Lager,” a limited bottling of Royale Brewing’s most popular brew. This limited bottling will be adorned with labels composed on our in-house 1946 Linotype model 31 machine. Hang out, talk shop and traditional print in a classic commercial print shop while the sun sets over the Fremont Bridge. 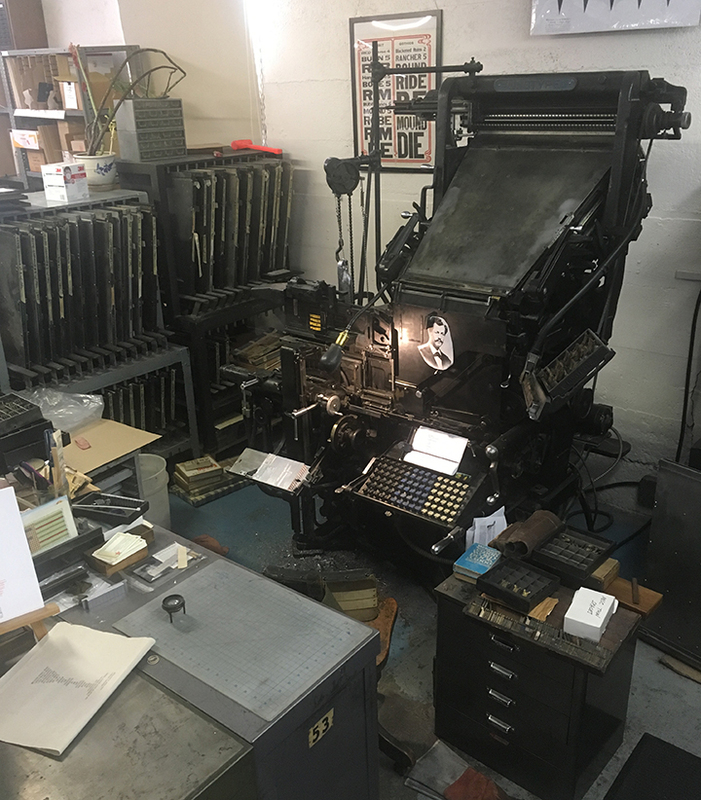 The Linotype machine will be on, we’ll be casting Caledonia 10 ^ 496 for a new C.C. Stern Type Foundry publication. Demos will be given until the operator has consumed too much "Lino-Lager." There will be a small supply Lino-Lager bottles available for purchase. Come raise a glass Ottmar Mergenthaler, his amazing machine and to hot-metal type composition. See you there!